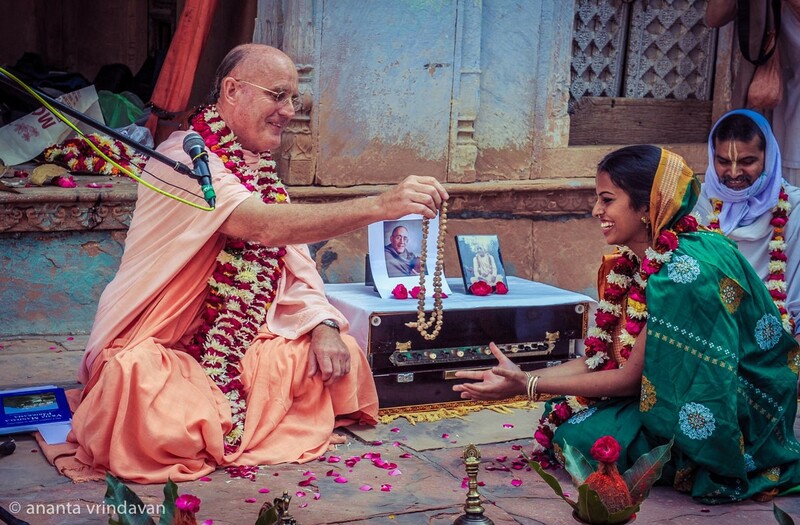 Though one full year has passed and you are, without a doubt, fully engaged in devotional service elsewhere under the guidance of merciful Vaisnava saints, I pray this offering may reach you through the transcendental medium. You are the fortunate one Vallabhi, for Krsna took you to do better service in a better place just at the right moment in your spiritual life. When my godsister Cintamani dasi gave birth to a child who expired just moments after coming into this world, Srila Prabhupada told her not to lament. He said that that child had only needed to experience a brief moment of material existence in order to give up all attachments and go back home, back to Godhead. The sound of devotees speaking so highly of you, Braja Vallabhi, is pleasing to the ear. As your spiritual master, I thank you for setting such a good example for all practicing devotees. We need the examples of Hari, guru and vaisnava to advance nicely. 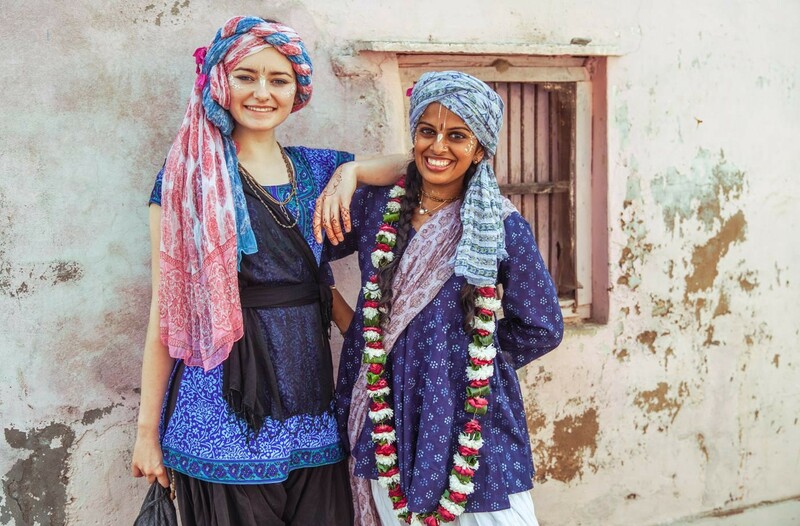 We have the best examples of Hari in the personalities of Lord Krsna and Sri Caitanya Mahaprabhu, the best example of guru in the character of our beloved Srila Prabhupada, and the good example of vaisnavas like yourself and so many other devotees in this International Society for Krsna Consciousness. I saw that quality of love for the spiritual master in you, Braja Vallabhi. It was not something you advertised; rather you always worked quietly from the sidelines and did not expect any attention. But you couldn’t hide your faith in guru; devotees recognized it and still speak about it today. We all depend upon such examples. There is wisdom in the saying “example is higher than precept.” And so when you suddenly disappeared that fateful day on your way to Govardhan Hill last Kartika, myself and so many devotees were devastated. I will never forget the cry of grief and the anguish on the face of one of your dearest friends, Vraja Candrika dasi, when she heard the news of your departure from this world. Even now it brings tears to my eyes. To this day she lives in a mood of separation from you. Such is the nature of genuine friendship in Krsna consciousness. Her naturally happy nature and smile are tempered by feelings of separation from you. Our only consolation is that one day we will all be back together in the spiritual world. Having said that, I know there will always be something missing, something lacking in my heart while there. And what could that possibly be? I will miss the adventure of pioneering this samkirtan movement under the guidance of our beloved spiritual master, Srila Prabhupada. There is definitely something to be said about spreading this movement here. Baladeva Vidya Bhusana mirrors the same sentiment when he writes that the pastimes of Lord Caitanya are especially appreciable because of the dark backdrop of material existence which doesn’t exist in the spiritual world. He gives the example of a diamond that sits on a black cloth. You were part of those pioneer pastimes on the Polish Tour and in other places as well and that is why I am missing you so much. Nevertheless, I want to be very frank and honest when I say I feel absolutely no lamentation today. 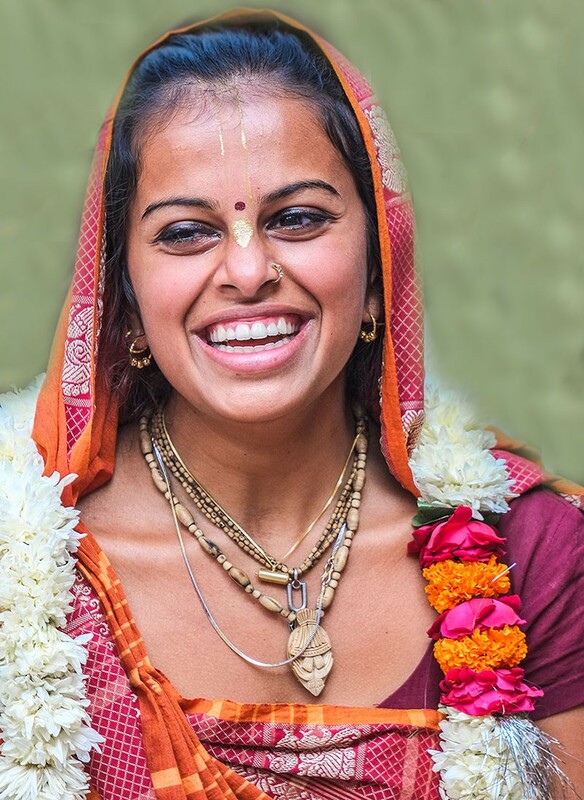 I feel only happiness, hope and a sense of great expectation that you, myself and all the many wonderful devotees in this ISKCON movement will always be working together to glorify our beloved Sri Krsna, either in this world or the next. Vallabhi, I look forward to seeing you soon. Only time is separating us as guru and disciple now. Remember always that my prayers and blessings are with you wherever you go and that your friends, family members and well-wishers send their blessings too. And Vallabhi, one last request: if you can please send some love to your godsister Vraja Candrika and ease her aching heart!